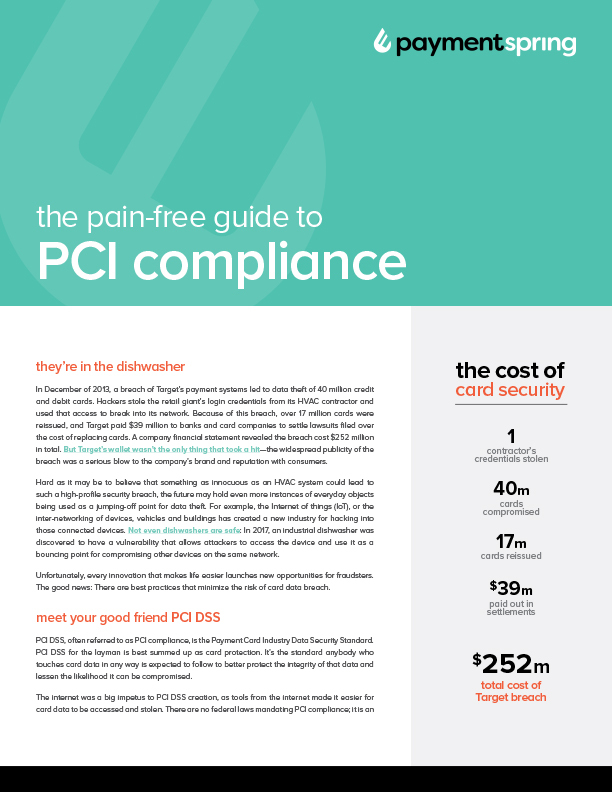 Your pain-free guide to all things PCI DSS. Delightfully extensive knowledge of PCI compliance awaits you. If you’ve still got questions, don’t hesitate to reach out to us at 844.348.5702 for more ways we can help reduce your compliance scope.